I would argue that one of the most overlooked features of any team collaboration software can also stand as one of the most useful. That’s not to say we ignore this feature, but I don’t feel it receives the credit or praise it entirely deserves. If you read the title of this post, of course you’d already know that I’m talking about Presence Indication. The idea itself is fairly basic: a little dot on our desk-phone, messaging app or UC dashboard, that allows us to see who is away, and who is available at their device. But the power of the feature doesn’t quite stop just there. Beyond simply allowing users to see who else is available, presence indication can bring a whole set of benefits we may not have even realized. So, I did touch on the concept briefly above, and it doesn’t need too much explanation. 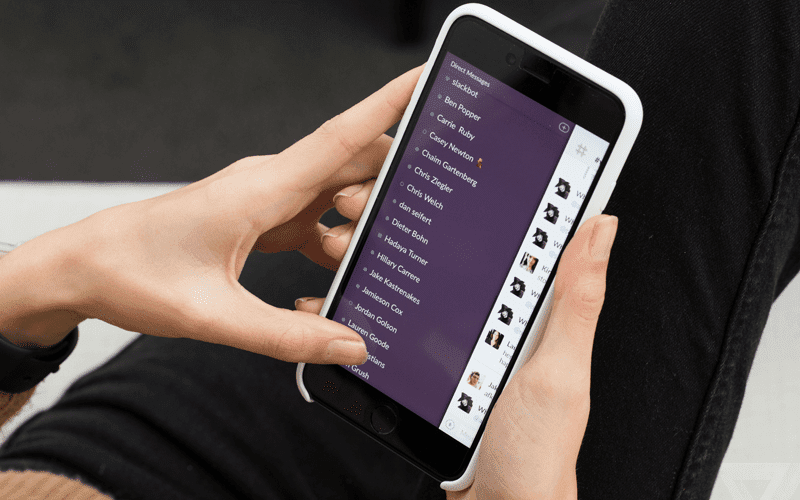 The concept is incredibly simple, and the idea is that Presence Indication lets users know at a glance who they could or could not message. The biggest benefit of course is just that: you can know who is available or not instantly. But, depending on different platforms, this simple feature can be used as a new way to completely reorganized your workflows, and stay in control of your own personal productivity. 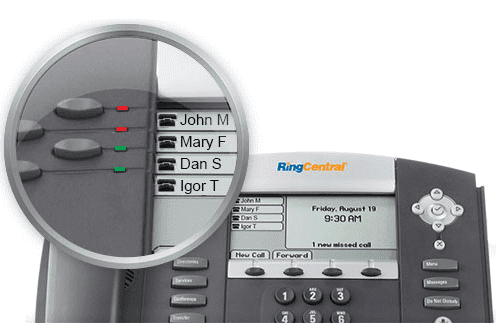 For example, we can see how RingCentral integrates presence on their IP Desk Phones with “busy” lights so we can know when someone else is on the line. Some collaboration solutions allow us to set our presence with a specific note, such as Out of The Office or Working Remotely or even completely custom status messages. Its all about finding what works best for your team. Seems simple… Why is it such a big deal? With control over their presence indication, users can gain more control over the distractions that creep up onto their desk. Users can gain control over their workflows, or utilize presence information to get in touch with the right person at a moment’s notice. Call center managers can utilize presence to manage agents, or agents can use presence to instantly contact the manager or authority they need assistance from. The idea is that presence allows us to ignore phone tag, with an indication of who is ready or not. Instead of hunting down a manager for 15 minutes, you can get in touch with the right person instantly. Get in touch with people right away, when time is crucial. A presence indicator can let others on your team know if your are available or not, and which device would be best to reach you by. Just to give a quick example, lets say you’re finalizing a big presentation. You need to get in touch with Jim to double check a specific point of data. You haven’t been by his desk all day so you have no idea if he’s even in the office or not. Instead of dialing his desk phone and going to voicemail, a quick glance at the presence indicator on your messaging or collaboration app will let you know that. Instead of wasting time, you can almost instantly determine the best way to try to get a hold of Jim. With presence indication, team leads can easily distribute and delegate tasks to the best available employee based solely on presence information. Depending on who is away, at their desk, or maybe in a “do not disturb mode,” this presence status will help you determine who is best available at that exact moment. The same principal can even carry over into contact centers – say an agent receives a call about a specific product, and does not have the direct information in front of them. Instead of placing the caller on hold, and trying to get in touch with different supervisors, agents can just quickly glance to see which expert is available and send them a quick message. And we all know how one small change can lead to massive boost to agent performance. Across different platforms, the same general indicators apply. Green means available, yellow means busy, and red or blank means unavailable. These three indicators alone can tell us a lot, but they can also leave some room for explanation. If your solution makes it available, think about utilizing some more intense advanced presence controls. 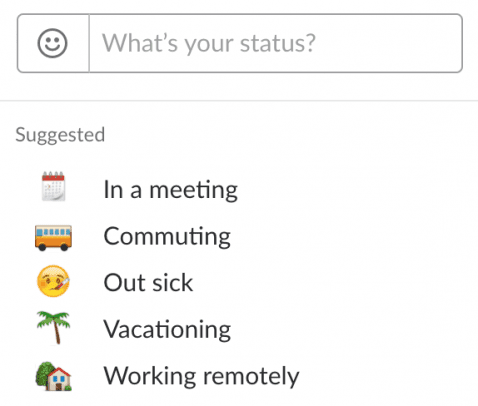 Slack, for example, allows users to use create a “status” and even use emojis. From here, users can simply write “out of the office, call mobile,” or maybe “on the phone, text only.” This way your team never has to second guess the availability of another user, creating a truly agile collaborative experience. The idea is to take the existing benefits of presence, cutting down time and eliminating phone tag, and enhancing the concept even further with more information. Setting a custom status with a quick note, like “in meeting room A,” could even help remove the need for standalone conference room scheduling tools. We’ve covered at length before some best practices to help manage remote workers. Of course, when the team is not in the same physical location management requires an extra special touch. We want to be sure our teams are staying productive, but want to shy away from micromanaging. Thankfully, utilizing either a simple or advance presence feature can help your team manage those remote workers. A status indicator can give managers a quick glance to see who is at their computer, or away. If you notice someone is away and they shouldn’t be, that might be a good indicator to drop they a quick line to see if they need any assistance. Going further, more advanced options like unique status indications allows remote employees to update exactly what it is they are working on so everyone knows. Its become a bit of a TV trope for sitcom characters to crowd around the water cooler and share some gossip. Whether or not your office has a literal water cooler isn’t really the point — but rather a single location where employees congregate. This could be a break room, a kitchen, or of course a water cooler. The important idea here is that this space invites conversation, collaboration, and a community feeling. With presence indication, users don’t have feel like they are interrupting someone else to send a quick message. Since UC apps allow us to converse in real time without the distraction a phone call brings, this “water cooler effect” can easily extend to the virtual world as well, helping to foster a community of conversation and collaboration among the team. We can’t always control our phones, and sometimes they just happen to ring at the worst moment of all. Nothing is worse than being deep in thought, or hammering away at a report, just to have a phone call, email or even instant message completely rip you away from that focus. Thankfully presence indication can help ease that specific pain point. If you’re super, super busy and absolutely cannot be distracted, just let your team know with your presence! Most UC apps even allow for a “Do Not Disturb” function to hold off notifications until you are ready to see them. Because you can have control over your availability, and notification distractions, users can greater control over their workflow, keeping those pesky distractions at bay. I for one am a big fan of presence indication. At the end of the day, it really is such a small and very simple feature that can deliver some powerful results. By removing the inefficiencies in our communications, we can all improve bottom line productivity. Simply eliminating the concept of “phone tag” can be a life saver for those absolutely time sensitive decisions. Even going beyond the agility that presence indication can inject into your daily workflows, the flexibility it brings to the table allows for your team to work together as a well-oiled machine.